I'm up to something new. It looks very different, but it's me. Still me. It's a place for mistakes. it will be duly noted & thanks given. Perhaps it will be something I find at your place. You'd be surprised how often I am inspired by you all. It may just be something that makes me laugh. Maybe, maybe? you could link there? but I will be between the 2. I lovelovelove this image so much! Christina - You are too kind. It's much appreciated. this is really cool. this is exciting!! 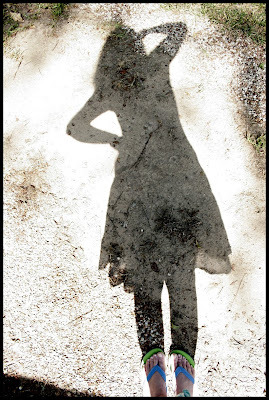 i will link most assuredly :) i adore the shadow you too! Ah - you are feeling restless! That need to reorganize (in Monday's post) and that feeling of "I need to do something but don't know what" usually presages a huge leap of growth. Forgive my stupidity, but where could I find this second place? yes, the shadow you is beautiful and I love the new site, link going up as soon as i pul myself away from here.